We are based right in the centre of Galway. 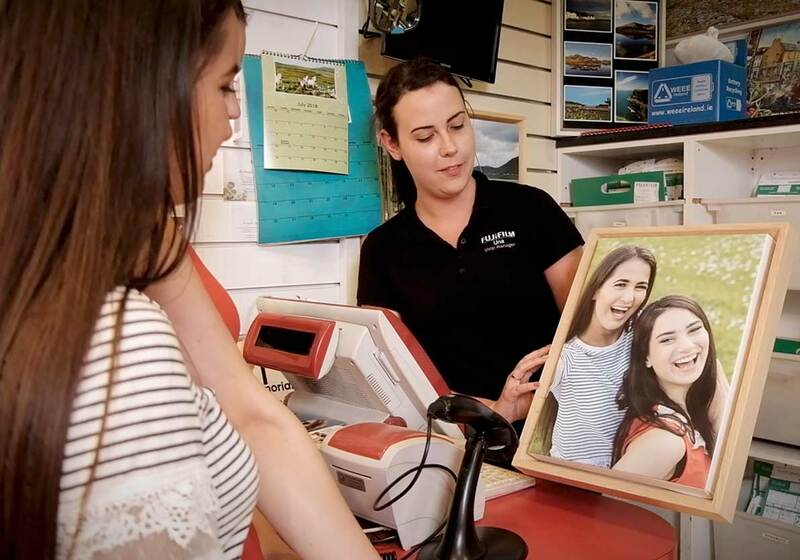 Established in 2010, the Fuji store is owned by Clare Man Niall Considine, the dedicated team at Fuji Galway have printed over 5 million photos for our Galway Customers. We are open each day Monday-Wednesday from 9.15am-6pm. Late Thursday 9.15am- 7pm, late Friday from 9.15am-8pm and we also open Sunday from 1pm to 5.30pm. Over the years our product line has increased to also include gifts for every occasion. Personalised balloons, cameras, framed enlargements for the home or office, Mugs, Books and many other seasonal novelties. If you need some inspiration pop in we have plenty of gift ideas we can help you with.